Technology is touted as a game-changer for Indian pharma, transforming the way the industry markets drugs to its most important customer group, the doctors. Several players are pouring billions into e-detailing tools, augmented reality handsets and CRM software solutions, hoping that these technologies will help them meet their business goals and stride turbulent times brought in by caps on drug prices, push for generic drugs prescriptions and stiff competition. 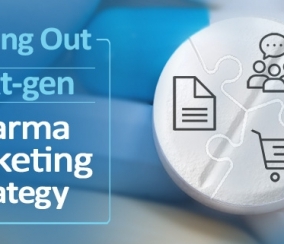 While it is true that technology gives pharma marketers an edge over conventional methods, it means little if core marketing objectives remain unchanged. As long as pharma focuses on ‘selling’ drugs, it will continue to come up with marketing solutions that serve itself and not the medical community. Even companies that have adopted digital technologies treat them more as quick-fix promotional solutions (e.g. banner ads) intended to meet short-term sales targets. What is required is a radically different outlook, one in which drug makers reposition themselves as ‘facilitators’ of better treatment outcomes. Only this would help them sustain and grow in the current VUCA environment. 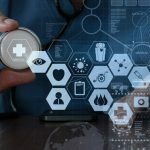 But for this to happen, marketers will have to glean deep insights into what doctors require to better serve patients, by maintaining a continuous connect with them across channels. And what better way to achieve this than through ‘engaging content’. 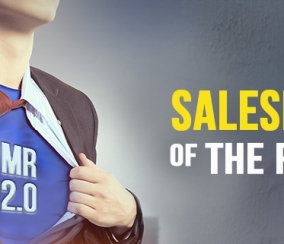 Seasoned marketing professionals concur that ‘All remarkable products come with a story’. Technologies such as AR/VR are meaningless unless based on a strong foundation of ‘content that delivers value ’. In fact, marketing wizard Seth Godin rightly states, ‘Content Marketing is the only marketing left’. This is extremely relevant for Pharma which is facing new challenges in medico-marketing. 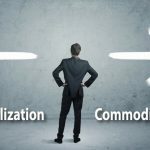 Changing Marketing Objectives – Conventional pharma communications was built around the goal of meeting sales targets. Needless to say, traditional marketing messages focused excessively on incentives that doctors would receive from pharma in lieu of their prescriptions. However, conventional marketing practices are increasingly coming under government scrutiny. Moreover, higher complexity of modern medicine and advent of personalized treatments now require pharma marketers to position themselves as ‘enablers’ of right treatment decisions. It has now become crucial for pharma to communicate their commitment to the broader goal of improving healthcare outcomes. This may be best achieved through relevant content. Shifting Focus from The Drug to The Customer – Like in every other industry, customer-centricity is gaining prominence in healthcare as well. For a long time product detailing formed the crux of pharma communications. But today’s doctors operate in a far challenging environment characterized by a more aware (and therefore more demanding) patient, increasingly complex drug therapies and rising litigation. This has given rise to a huge unmet demand for content on better patient compliance, medico-legal issues, healthcare policy revisions, and medical education. 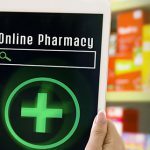 Such initiatives also help pharma marketers differentiate themselves in a marketplace that is increasingly crowded with generics. The Rise of ‘Digitally-Empowered’ Doctor – Digitization has disrupted the way doctors consume medical information. Multiple online resources now provide doctors with real-time updates on the latest drugs. This has reduced doctors’ dependency on in-office product detail meetings with drug reps. The best way pharma can continue to deliver value to the medical community and bolster its brand identity is by providing doctors easy access to the latest and the most informative medical content in new, interesting formats so that it improves treatment outcomes. Establish Clear Marketing Objectives – Marketers need to be clear on what they want to achieve from their content marketing efforts. Goals could vary from creating awareness of a new product and reviving interest in a mature brand to establishing thought-leadership and maintaining brand loyalty. Well-defined marketing goals will lead to the adoption of the most-suitable channels and content formats. Conduct Thorough Market Research – In-depth analysis of existing market intelligence lays the foundation of a successful content strategy. In case of a new product launch, marketers need to know what doctors think about the existing treatments and their expectations from new drugs. This will help them determine their audience’s overall readiness to accept the new product and devise the best content strategy with an appropriate timeline and nature of the content. 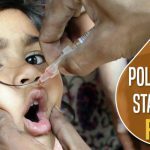 Online surveys present a more accurate picture of doctors’ sentiments as opposed to offline versions (via own field force or external agencies) that carry a higher risk of falsification. Safety and efficacy are the topmost concerns of physicians while evaluating a new product. 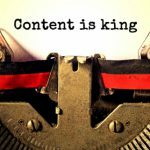 Develop A Detailed Content Plan – Since content marketing is a soft-sell marketing technique, it is necessary to maintain an educational and informative approach while creating content. Nobody likes to feel that they are being sold something, least of all doctors. As real engagement and the resulting change in mindset happens over time, it is best to have a year-long plan which may further be broken down into four phases. A great content strategy is the one that gently guides your audience through each phase of the AIDA (Attention, Interest, Desire, Action) marketing model. Docplexus creates dedicated microsites called ‘Infocenters’ for its clients on which all medical content is hosted. A mix of content formats is used to retain audience interest and maximize engagement. While articles work well for content related to clinical trial results, KOL interviews are most effective in video format. Live interactive webinars are great for educational content on latest medical advances.We observe that a focus on therapies rather than specific molecules bodes well in most cases. Doctors do not want to spend more than 4.12 minutes on reading textual content. Marketers should master the art of creating content that is concise, yet conveys key insights. Create Outstanding Content – There are no two ways about this. A surge in digital marketing has led to the creation of ‘content noise’ where abundant content is available but very little is worth our attention. Docplexus research shows that in addition to drug updates, doctors favor content on medicolegal issues, healthcare policy updates and clinical guidelines. Since pharma marketers operate in a highly regulated environment, they have to be extremely careful about their labeling and messaging practices. Every content piece must go through a strict validation and approval processes. Only when doctors believe your content to be credible and adding value to their clinical practice will they give you their precious time, attention and that highly coveted space on their smartphones. 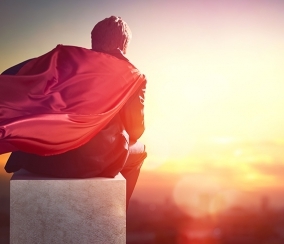 Content has the power to make or break a pharma brand. Only a team of highly qualified medical content experts can create content that gains doctors’ trust. Optimize Marketing of Content – Marketers should leverage online knowledge portals that enjoy a wide following and are recognized by physicians as trusted sources of knowledge and information. Elements such as thumbnail image, article title, teaser content and time of content delivery play a huge role in maximizing viewership. Best content marketers know how to strike a balance between maintaining a constant connect with the audience versus overwhelming it with too much information. 53% of Indian doctors use mobile to access content. A mobile responsive design is integral to successful marketing of content to doctors. Stay Responsive – It is unimaginable for marketers to modify their offline communications plan as per changing sentiments of the audience (This may even involve recalling and reprinting of the supporting marketing literature). The biggest advantage of digital content strategy is that it can be easily tweaked real-time, in response to audience’s reaction, leading to better results of marketing communication efforts. A dynamic content strategy is a must-have to attain the best marketing outcomes. Harness Power of Analytics – Regular monitoring and reporting of key engagement metrics (views, votes, comments, etc.) is the best way to understand the impact being made by your communications plan. Quantitative and qualitative data can help you analyze your audience’s reactions down to the minutest detail, substantially improving your marketing outcomes. Qualitative insights are as important as hard data as they enable deep understanding of doctors’ mindsets. To conclude, Pharma marketers should abstain from adopting technology ‘for the sake of it’. Rather, technology should become a part of a whole new marketing approach in which Content takes center stage. 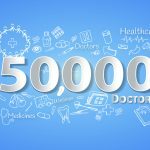 Docplexus, with 2,25,000+ doctors, is India’s largest online community of doctors. We empower doctors through enriching content including medical articles, patient case studies, LIVE interactive webinars, KOL interviews and CME courses. We have successfully strategized and executed 20+ content marketing projects for leading Pharma brands in India. 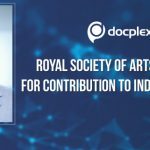 Docplexus has provided a comprehensive platform to the Medical Fraternity which suffices their daily dose of interesting updates in the medical world. The networking feature allows Doctors to interact with Stalwarts and also freely discuss their critical cases. 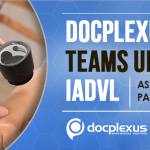 Docplexus has made it possible for medical practitioners to access MedLegal advice, Drug-related updates, News, Guidelines, etc., at their fingertips. With highly qualified medical writers, it has ensured that any content posted is perfectly curated to keep the audience engaged. A large number of KOLs associated with this platform is a testimony in itself to its quality and professionalism. 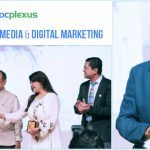 It has been an enriching journey working with the Docplexus team and I am confident the relationship has miles to go.” Ashutosh Inamdar, DGM Strategy Cell, Lupin Ltd.
Click Here to view Docplexus’ Content Marketing Strategy for Lupin Ltd.